Chelsea could reportedly face losing loan signing Mateo Kovacic to another Premier League club this summer as they await news on their transfer ban. According to Marca, Kovacic’s Stamford Bridge future is somewhat up in the air, with the on-loan Real Madrid midfielder keen on a move to stay in England. 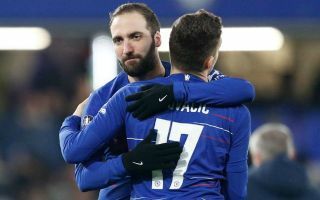 The report also claims the Croatia international has offers from other Premier League sides, so it could be that he’ll be representing another team in the top flight next season. This is a bit of a worry for Chelsea, with Kovacic looking decent in his first season at the club and probably a player worth holding on to permanently. Marca claim CFC will not be able to negotiate a permanent transfer if they are given a ban, which may come as a surprise as it’s often the case that clubs have options in place to trigger permanent deals already once they have a player on loan. It would seem that’s not the case here, so it would be interesting to see where Kovacic might end up next if he does not stay at Chelsea.